James H. Gebel, 75, of Washburn, IL passed away at 1:48 am on Thursday, September 13, 2018 at his residence. He was born on April 16, 1943 in Ossian, IA to Harold and Francis (Holtey) Gebel. 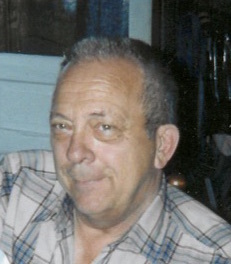 He married Linda J. Kenyon on July 24, 1965 in Ossian, IA. She passed away on May 19, 2017. Surviving are his children Brian Gebel of Washburn; Anita (Robert) Burris of LeRoy, IL; David (Kristin) Gebel of Geneva, IL; Elana (Brian) Casetta of Bryant, WI; Jenny (Bobby) Williams of Varna, IL; and Alessandra (Carlos) Mourão of São Paulo, Brasil; grandchildren Patrick, Laurin, Nichole, James, Alyssa, Vincent, Noah, Jeremiah, Jocelyn, Joseph, Kyle, Faith, Gianna, Bryson, Anna, and Pedro; and one great-granddaughter; brother Larry Gebel; and sisters Mary Ann (Hanns) Bell, Judy (Lee) Young; and Rose (Jeff) Noyd. He was preceded in death by grandson Jake Loftus. Jim worked at Caterpillar Tractor Company for 38 years until his retirement. He loved playing cards, the Green Bay Packers, bowling, playing softball, hunting, his annual fishing trip to Canada with his fishing buddies, and spending time with his family. A Funeral Mass will be held at 11:00 am on Monday, September 17, 2018 at St. Elizabeth Catholic Church in Washburn, IL with Father Vien Van Do officiating. Visitation will be held on Sunday, September 16, 2018 from 2:00 pm until 4:30 pm at Mason Funeral Home Metamora Chapel with a time of sharing to follow at 4:30 pm. Visitation will also be held one hour prior to his service on Monday at the church. Cremation rites will be accorded after Mass. There will be a luncheon for family and friends following Mass on Monday at the American Legion Post #661 in Washburn. In lieu of flowers memorials may be given to St. Jude Midwest Affiliate, 530 NE Glen Oak Avenue, Peoria, IL 61637 or a charity of the donor’s choice. Online condolences at www.masonfuneralhomes.com.